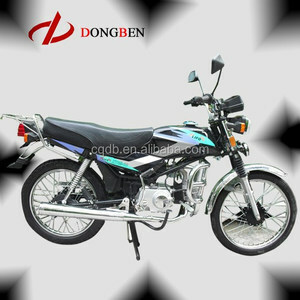 More than ten years experience specialized in motorcycles area. 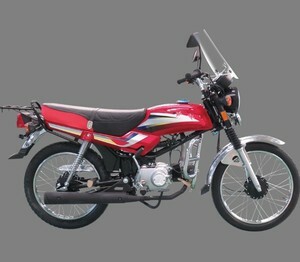 2: We main produce and export cub motorcycle, street motorcycle, dirt bike, racing bike and tricycles. Warranty 1.We offer one year warranty or engine 6000kms on the basis of normal riding. .
Engine Engine Type Single Cylinder, 4 Stroke, Forced Air Cooling, Displacement 50-110 cc Bore&times;Stroke 39*41.4 47&times;41.4 mm 52.4*49.5mm Compression Ratio 9.3:1 Max Power 5.5 kw/(8000&plusmn;5%) rpm Max. m/(6000&plusmn;5%) rpm Start Mode Electric/Kick Ignition Mode CDI Lubrication Press splash Idle speed 1200rpm Engine Oil 0.8L Transmission Gear 4-speed Transmission Mode Chain Dimensions and Weight Product Dimensions 1870&times;665&times;1035 mm Wheelbase 1200 mm Seat Height 770 mm Min. 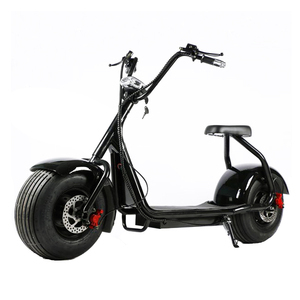 Ground Clearance 140 mm Dry Weight 95 Kg Load Capacity 150kg Climbing Ability &ge;25&deg; Fuel Tank Capacity 9 L Wheels and brakes Front Tires 2.50-17 Rear Tires 3.00-18 Front Brake /Rear Brake Drum Others Max. 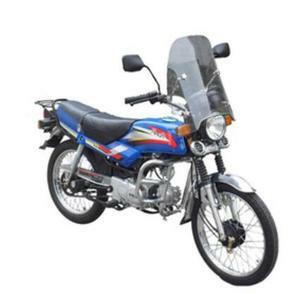 LIFO AMAN SIDRA RICO BANCOM XY49-11 XY49-10 XY49-3 new Cheap 50-110cc 4 stroke motorcycle(spoke wheel) Engine Engine Type Single Cylinder, 4 Stroke, Forced Air Cooling, Displacement 50-110 cc Bore&times;Stroke 39*41.4 47&times;41.4 mm 52.4*49.5mm Compression Ratio 9.3:1 Max Power 5.5 kw/(8000&plusmn;5%) rpm Max. m/(6000&plusmn;5%) rpm Start Mode Electric/Kick Ignition Mode CDI Lubrication Press splash Idle speed 1200rpm Engine Oil 0.8L Transmission Gear 4-speed Transmission Mode Chain Dimensions and Weight Product Dimensions 1870&times;665&times;1035 mm Wheelbase 1200 mm Seat Height 770 mm Min. Ground Clearance 140 mm Dry Weight 95 Kg Load Capacity 150kg Climbing Ability &ge;25&deg; Fuel Tank Capacity 9 L Wheels and brakes Front Tires 2.50-17 Rear Tires 3.00-18 Front Brake /Rear Brake Drum Others Max. 1.Can I get some samples9 Yes , sample order is available for quality check and market test. 1.Can I get some samples9 Yes , sample order is available for quality check and market test. 3.What colors we can choose9 Colors are available, usually you can make the colors you like. Pantera is devoted to serve the needs of the customers for the whole world. Pantera provides quality products and good service after sales. OEM is You are welcome to contact us for more information. We have the people with technological expertise and professional sales. So if you drive it over speed , our wind rover will alarm itself , and slow down itself . As the road is very slide after rainy , this way is not so safe . 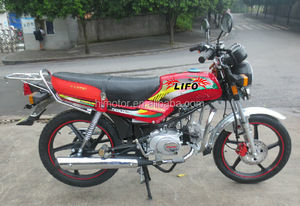 Alibaba.com offers 89 50cc lifo motorcycle xy49-11 products. 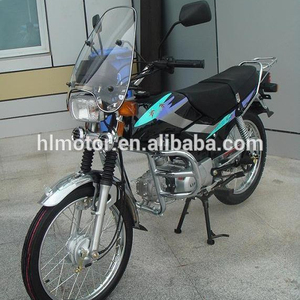 There are 9 50cc lifo motorcycle xy49-11 suppliers, mainly located in Asia. 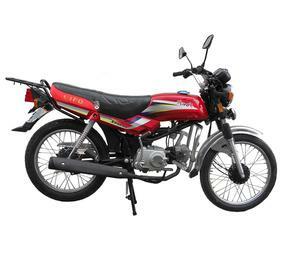 The top supplying country is China (Mainland), which supply 100% of 50cc lifo motorcycle xy49-11 respectively. 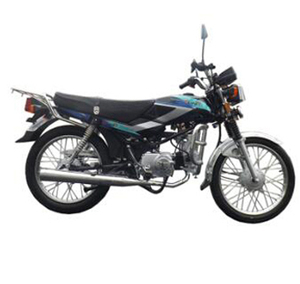 0cc lifo motorcycle xy49-11 products are most popular in Africa, Eastern Asia, and Domestic Market.